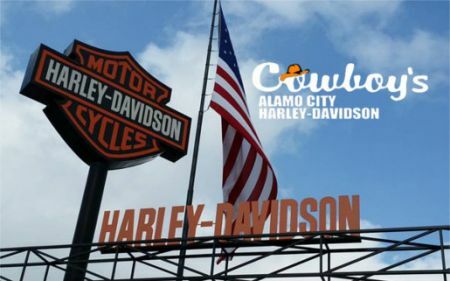 Cowboy's Alamo City Harley-Davidson® is committed to delivering quality customer service and of course, quality motorcycles to San Antonio, Schertz, Selma, Converse, New Braunfels and the surrounding area. Whether you are looking to purchase your first Harley-Davidson® or are a loyal member of our local H.O.G.® Chapter, we sincerely appreciate your business and value your opinion. Cowboy's Alamo City Harley-Davidson® is the place where we come to share our motorcycling experiences, knowledge, and love of Harley-Davidson® with our friends. We invite you to stop by and hang out with us on at one of our dealership events, bike nights, or happenings at our downtown boutique on the Riverwalk! At Cowboy's Alamo City Harley-Davidson®, we strive to provide a seamless, enjoyable motorcycle-buying experience for every customer. We have an exceptional selection of new Harley-Davidson® motorcycle, pre-owned inventory, authorized rentals, genuine Harley-Davidson® parts and MotorClothes® - not to mention our iron-clad Harley® Service and collision department that is ready to get your Harley® performing at its best again. We have a nationwide reputation for excellence and continue to grow our standing as a leading Harley-Davidson® dealership because of our attention to detail, qualified and quality staff, and our passion for Harley-Davidson® motorcycles. 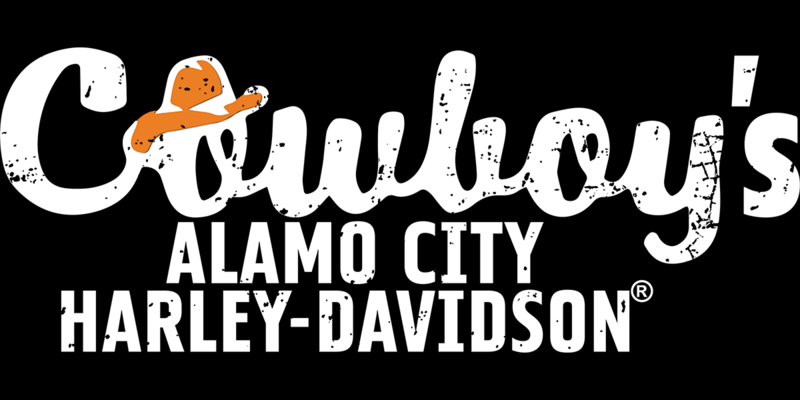 So grab your gear, put on your boots, and stop by to see what is happening at Cowboy's Alamo City Harley-Davidson®!